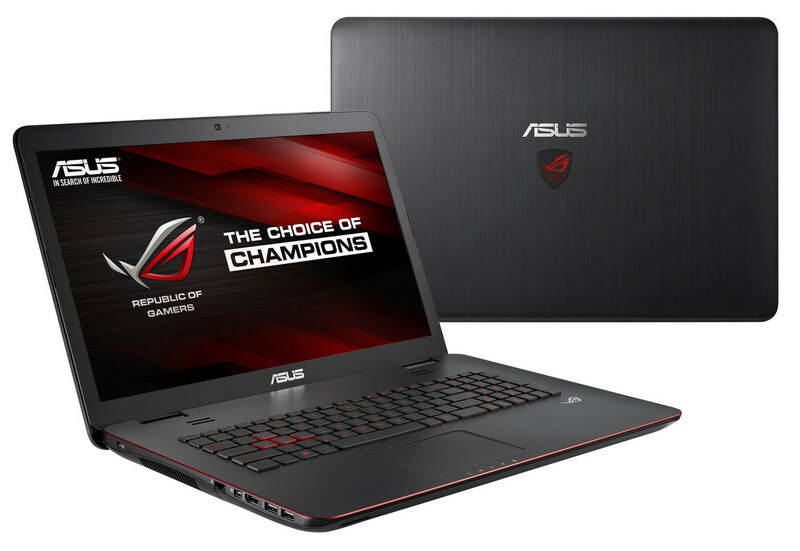 ASUS is quite famous for its ROG series notebooks, desktop PCs, hardware and etc. They offer a big range of products with similar design signature and aim to bring the best gaming experience. 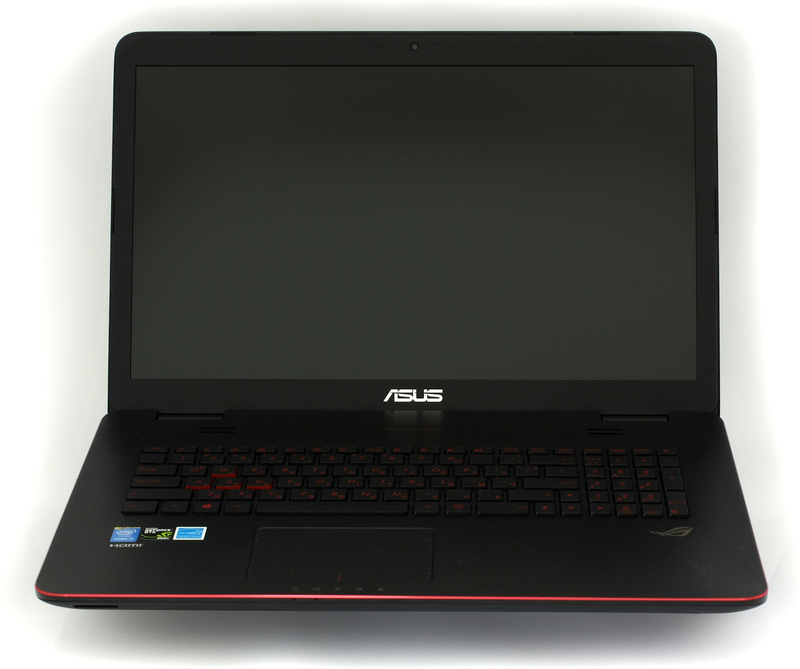 The object of this review is the ASUS ROG G771 gaming notebook, which is practically the same as N751, but with more powerful GPU, better display, and some other improvements, which are beneficial for gamers. 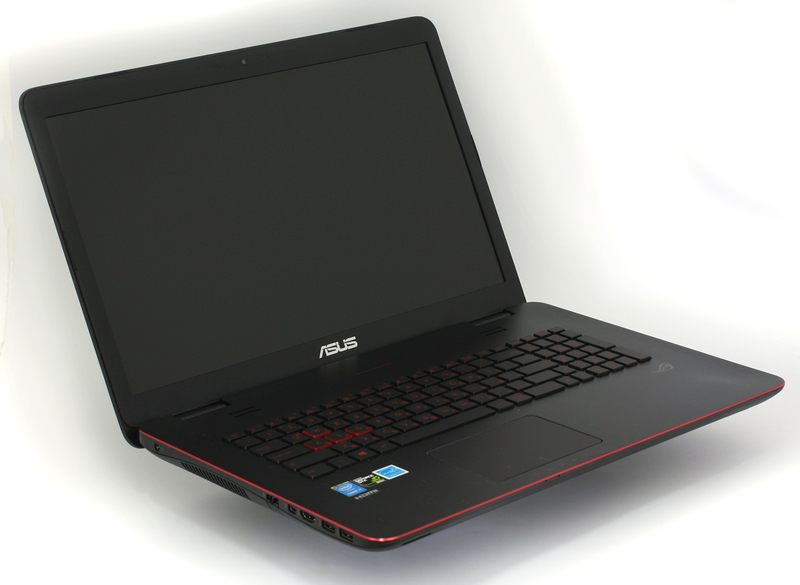 The 17-inch beast offers NVIDIA GeForce GTX 860M GPU along with Intel Core i7-4710HQ, 8GB of RAM and different configurations offer different variations of storage types. The one we tested is the most budget one – only with one 1TB HDD. However, we recommend getting the one with 120GB SSD + 1TB HDD since the price difference isn’t that much, but the performance is quite significant. The big red-black box contains the usual hardware we find in any other package. 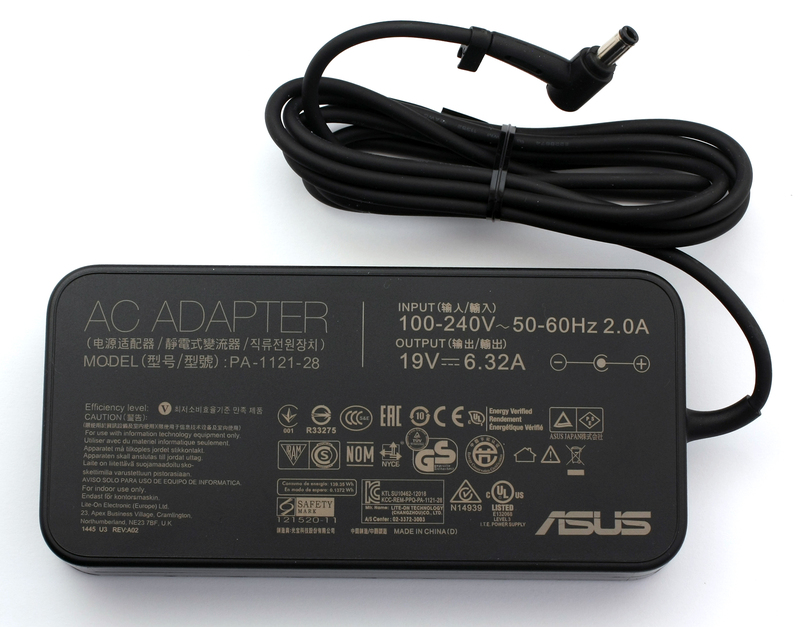 There’s the AC adapter for charging, DVD full of drivers, user manual and an ASUS branded cable tie for your convenience. As always, ASUS’ ROG design is outstanding in our opinion. It has aluminum brushed metal design, stylish red stripes, flashing LEDs or, in other words – everything a gamer would want. The aggressive design will most likely appeal to most of the gamers, but more on that later. The top of the lid is fully covered in brushed black aluminum and its profile seems a bit thick. 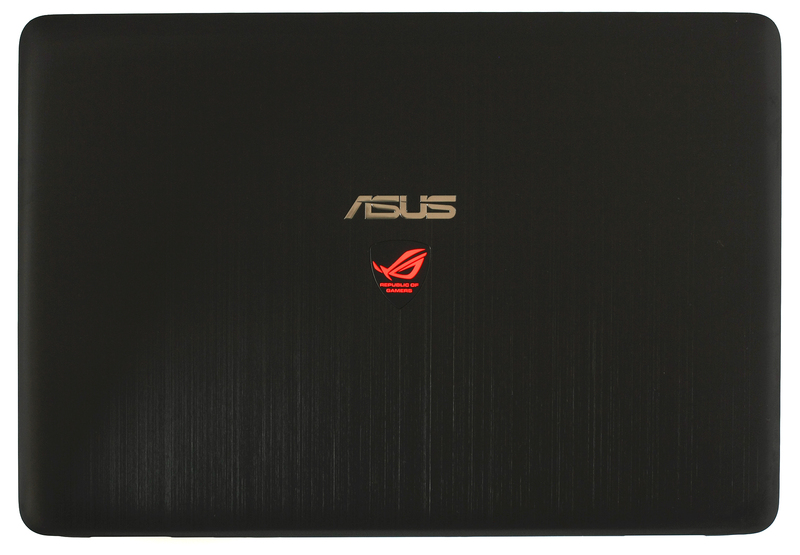 Nevertheless, it looks stylish and has a big ASUS logo on top of it along with the ROG series logo which is backlit with red LED when the notebook is on. On the inside of the lid can be found the usual ASUS logo at the bottom, the webcam on top of the screen and the built-in microphone. The bottom of the machine isn’t very different from the N751 either. The panel is fully covered in plastic and the first thing we’ve noticed is the absence of grills for an external cooling pad – identical to the N751. But if the G771 manages high temperatures as well as the N751, this will not be an issue. 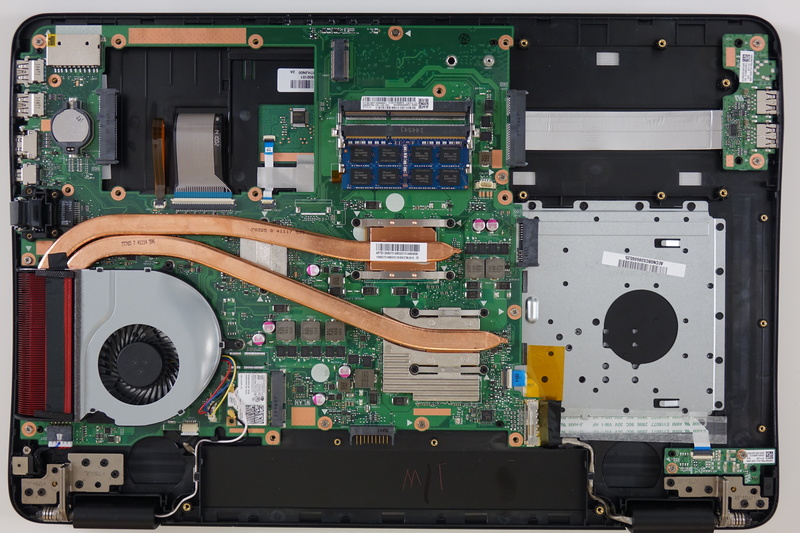 However, the RAM, both SATA III slots, and the additional m.2 SATA are easily accessible and are located under a small plastic cover secured only by one screw. You can even choose whether to put a 60mm or 80mm m.2 NGFF and the same goes for the N751. 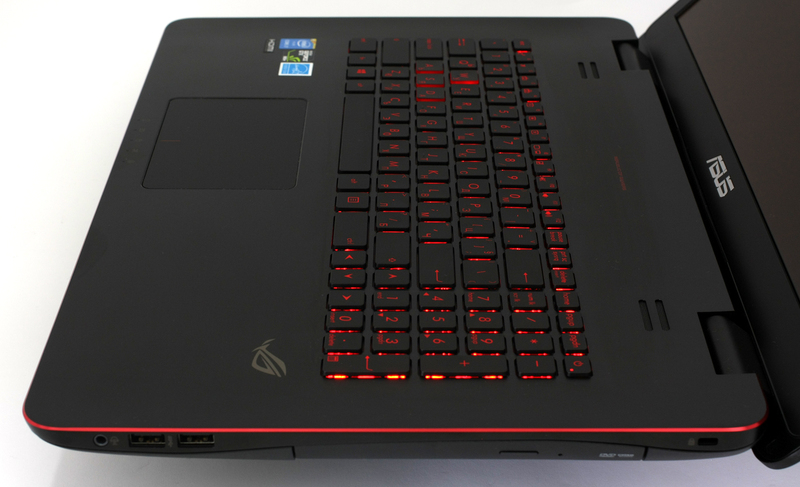 The battery is also user replaceable, which is quite uncommon for a gaming notebook. The best part is that all of this doesn’t void your warranty. 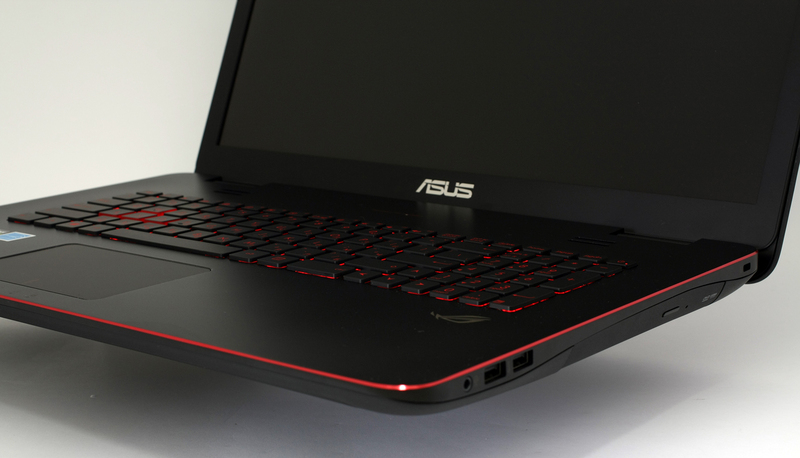 The sides of the laptop feature chamfered aluminum edges which are anodized in red and look very stylish. The left side has the same port positioning we see in the N751 – LAN, HDMI, mini DisplayPort, and 2x USB 3.0 ports. On the other side, you will find the DVD, 2x USB 3.0 ports and the 3.5 millimeter jack for a headset. 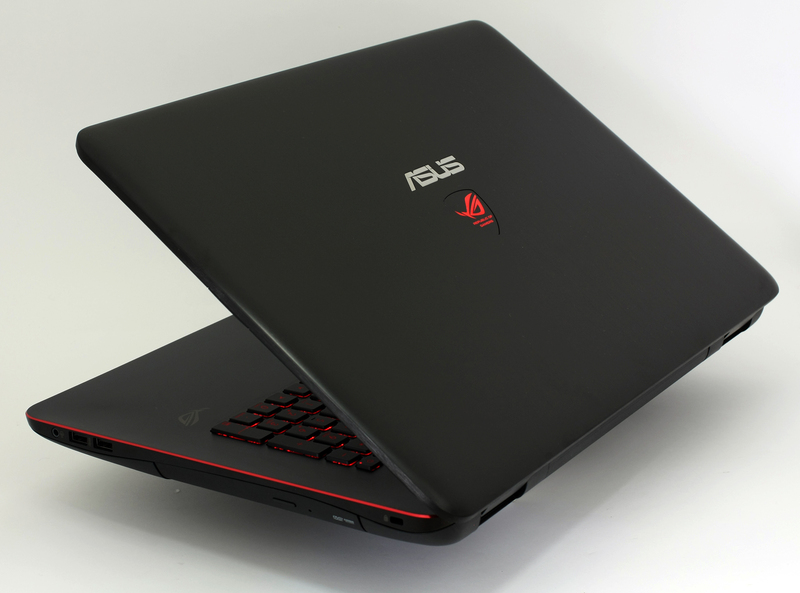 However, its profile isn’t as thin as its competitors like the Lenovo Y50 and Acer Aspire Nitro V17. This one has a bulky 37 millimeter profile, but if that means better overall cooling for the system – we are O.K. with that. The interior of the G771 is also as attractive as on the outside. 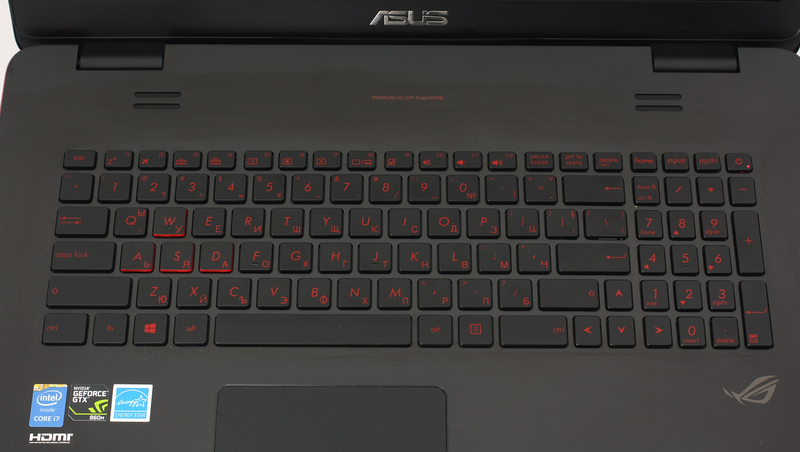 There is the ROG logo on the bottom right corner, the red backlit keyboard and, of course – the stereo front speakers. The touchpad is quite similar to the one we see in the Lenovo Y50, but it does have a significant difference. This one is much more sensitive when it comes to using mouse button 1 and 2. Sometimes we find ourselves pressing it accidentally, but we got used to it quite fast. There’s no wobbling and instability whatsoever, so it’s easy to use without any hassle. They keyboard is the thing we liked the most. The keys are evenly seperated and the size is just right. They offer good, long and tactile feedback. This type of keyobard is really uneasy to find even in some work-oriented notebooks and the user experience is just tremendous. Add to it the red LED backlight and you are set. Although, the LED light should have been a slightly brighter. They are easy to see in a pitch black room, but don’t offer good vision in a bit brighter room. The overall design is great – it’s stylish and premium. The chamfered edges add a bit more charm to it, but the brushed aluminum leaves a lot of smudges and they are quite hard to wipe off. The bottom lacks any additional ventilation, but at the same time offers easy way to replace or upgrade your RAM, storage, and battery. 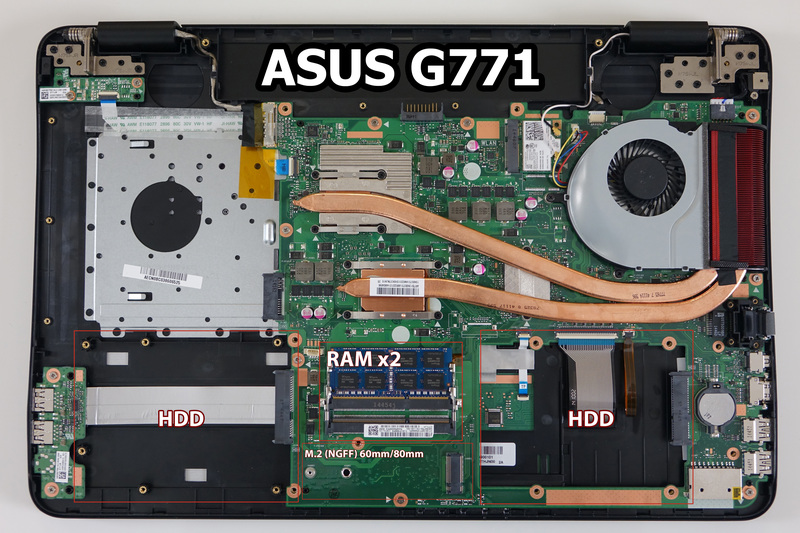 It’s important to note that the G771 lacks the compact design some other competitors with similar harware have. For example, the Lenovo Y50 weighs 2.345 kg and the Aspire Nitro V17 is around 2.969 kg, which is way under 3.6kg (the weight of the G771). Keep in mind that all three PCs contain the same Intel Core i7-4710HQ processor and GeForce GTX 860M GPU. 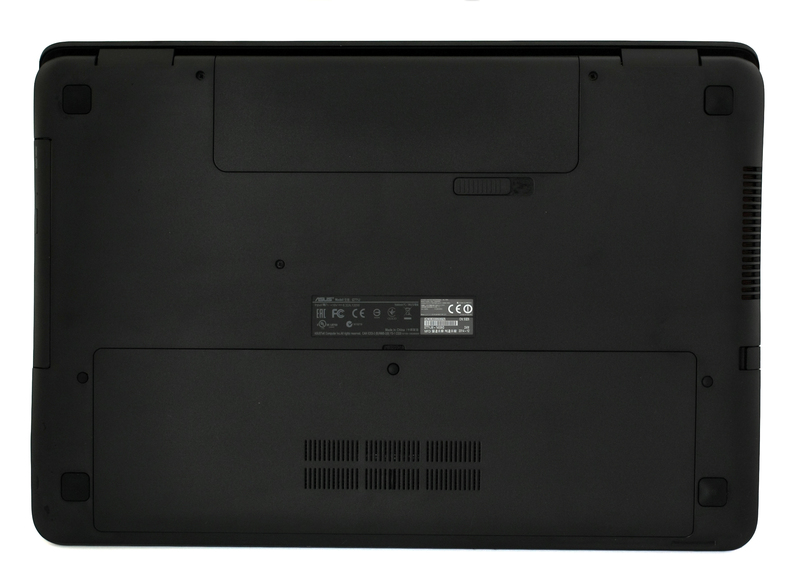 The G771 features the same AU OPTRONICS B173HW02 V.1 panel we saw in the N751JK, but both laptops could be found with IPS panels. The diagonal is 17.3″ (43.94 cm), the panel is LCD TN with WLED backlight and a resolution of 1920 x 1080 (Full HD) with mate surface. The pixel density of the display is 127 PPI with 0.119 x 0.199 mm space between them. According to the vendor, this panel has 300 cd/m2 maximum brightness and a contrast of 400:1. Color depth is 6-bit per channel and viewing angles are 70°/70°/60°/60° (left/right/up/down). This is how the screen looks under microscope in white background. We can see that the TN panel lacks good viewing under 45 degrees. The results from this panel are almost identical to those in the N751JK. The maximum brightness is 322 cd/m2 witha a deviation of 9%. The maximum brightness can offer good viewing even in bright places, while the deviation is neglectable. The color temperature is 6600K which is pretty close to the optimal. The G771s panel covers 95% of the sRGB color gamut, 68% of the NTSC and 74% of the Adobe RGB. Web-based colors will lack some tones in the red area. The gamma we measured has acceptable deviation. Details appear a bit brighter with brightness set to 50% and 100%. The average deltaE-1976 deviation after calibration is 9.07, which is considered a bad result, but it’s important to note that the second calibrator (below) got the right colors suitable for gaming. With the second calibrator color reproduction is significantly better and the results are good. Here you can see a map of the color reproduction. ASUS N751s panel is harmless to the eyes, because we didn’t report any PWM (pulse-width modulation) across all screen brightness levels. The ASUS N771 display offers big contrast ratio, which is unusual for a TN panel. It isn’t harmful to your vision and color reproduction could be better after calibration. However, it does have the usual TN panel shortcomings like poor viewing angles and benefits like lower power consumption and short response time. Fortunately, you can get a variant with an IPS panel for those of you not willing to settle for a TN one. The sound from the G771s speakers is good of its class and it’s most suitable for gaming. It has practically the same loud speakers like the N751 and even the results are identical (without the external subwoofer, of course). The levels which the speakers can reach are 3 kHz – 7 kHz – the sound doesn’t appear to be very precise, but the speakers are quite loud which most gamers will consider as a plus. The battery in the G771 is the same we find in the N751 – 56Wh, 6-cell, which is around 5200 mAh. Nevertheless, we expect a bit lower results compared to the N751 due to the more powerful hardware. To measure the battery life we used the same test we always do – web browsing, watching a movie and gaming. The testing conditions are as usual – Wi-Fi turned on, Bluetooth off, Power saver turned on, and screen brightness set to 120 cd/m2. ASUS N751JK managed to make it through 307 minutes which is 6 minutes better than the N751. For every test like this we use the same video in HD. This result again, wasn’t as satisfying – just 213 minutes. For accurate simulation we used the Metro Last Light benchmark running on loop with graphic settings set to minimum. The most demanding test got the most out of the battery – just 57 minutes of gaming. NVIDIA GeForce GTX 870M, codenamed “N15P-GX”, is a high-end graphics chip, announced in late Q1 of 2014. It will be available in two models. The first one is part of the Maxwell architectural generation and relies on a GM107 core, constructed through a 28nm process. It consists of five shader blocks, known as SMM, and each of those has 128 smaller shader cores, also known as CUDA, for a total of 640 CUDA cores. The package also includes 40 texture cores and 16 raster cores. All of them operate at 1029MHz, but NVIDIA’s GPU Boost 2.0 can dynamically increase that frequency. We’ve come across an interesting pattern where the G771 outperforms most of the competitors when it comes to high-quality settings, but drags behind a few frames per second at low and medium presets. Also, we did the testing once more in Full HD resolution since it’s a gaming notebook after all. The G771 offers great performance in both 1366 x 768 and 1920 x 1080 resolution and will keep satisfied every casual gamer with the possibility to play games even at high and medium settings. We’ve ran the usual tests on the G771 to see how the cooling system handles bigger load. 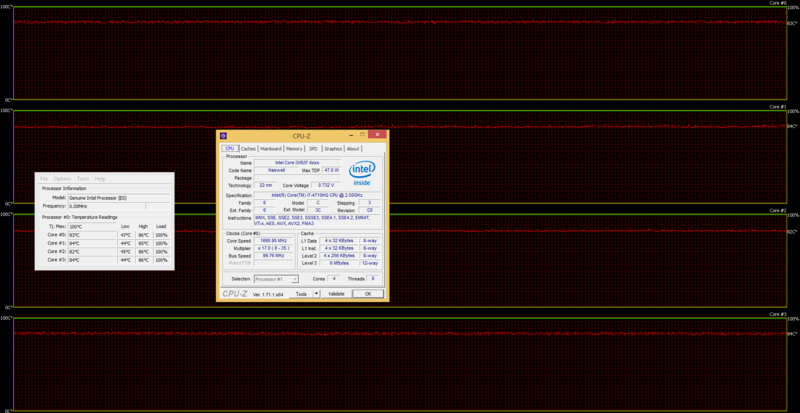 In order to do that, we put stress on all four cores with 100% load for around an hour. This way we measure the maximum temperatures which the CPU can go and see if there’s a decrease in performance (a.k.a. throttling). The CPU operates at around 44-47 degrees of Celsius when there is minimal load, but after an hour of stress the chip goes up to 86 degrees which is relatively cool, yet far from the maximum operating temperature of 100 degrees. You can see on the graphic below the temperatures and clock speed. Also, the green line measures the load of the CPU while the red one represents temperature levels. After one hour we throw in GPU load to see if the CPU and GPU share heat. You can see that the CPU hasn’t gone even one degree up while the GPU stopped at 84 degrees. This is a good indication that the two chips don’t share heat. There’s one other thing we’ve noticed, though. The CPU maintained frequency of 3.5GHz for a while and slowly dropped to 2.5-2.7GHz. After switching on the GPU stress test, the CPU started ticking at around 1.3-1.6GHz which can be considered throttling. Keep in mind that according to Intel, the Core i7-4710HQ has a base frequency of 2.5GHz, Turbo Boost up to 3.5GHz for one active core, 3.4GHz for two active cores and 3.3GHz for four active cores. However, the conditions we’ve recreated are extremely unlikely to happen to a normal user. These tests just show the stability of the system in terms of long and continues usage. Most of you may wonder how the inside heat affects the temperature on the outside of the chassis. This can be seen on the image below. As you can see the body handles high temperatures good enough and the user experience will not be affected. The only two slightly hotter areas are the one on the left where the grill for dispersing the heat is located and the one in the center where the GPU and CPU are placed. Nevertheless, both areas maintain a temperature which isn’t considered uncomfortable and most importantly – the area where palms rest remains cool. As we mentioned above, the G771 offers the same upgrade options as the N751. You have two slots for SATA III devices on each side of the chassis. Right between them can be found one 8GB RAM chip leaving one empty slot for you. Under that slot is the m.2 SATA slot, which is PCI-E x4, and you can either choose 80 mm or 60 mm NGFF. But there is a catch. The engineers from ASUS have soldered only one carving to screw, thus making it suitable only for 80 mm m.2 SATA. A second carving can be found in older or newer motherboards for desktop PCs and notebook PCs and also easily soldered by a technician or by yourself if you are confident enough. Yes, it seems a bit of a hassle, but it does solve the problem. Our conclusion on this product doesn’t differ very much from the one we have on the ASUS N751. The design is sleek and stylish, but the chassis is a bit heavy, bulky and you can easily leave smudges on the brushed aluminum. However, it does offer easily replaceable battery, RAM and storage without voiding the warranty. The housing handles high temperatures well without affecting user experience and at the same time keeping the internals relatively cool. The keyboard is absolutely tremendous and we find it slightly better than the one on the N751 and even most competitors on the market. The thing we didn’t like the most is the panel which is a TN one again. While we could have let that one slip away with the N751, the same cannot be done here. Even for a budget gaming notebook an IPS LCD panel is a necessity, although we understand that the TN panel is rather better than most out there and offers fast response time. So to sum things up, you can get the N751 or the G771 for around €1000 (we are talking about configurations with only 1TB HDD), but both offer slightly different user experience. 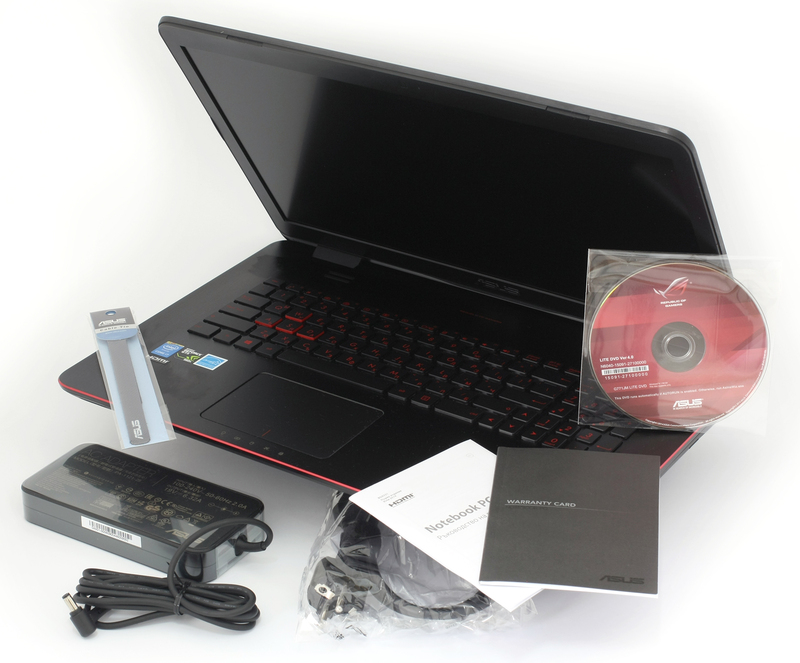 For example, the N751 is a multimedia station with an external subwoofer included in the package while the G771 has more powerful GTX 860M GPU and slightly better keyboard (in our opinion). The design is also different, so if this isn’t a priority for you, the G771 is the choice to go along with. It has the same price tag with better performance in the same bulky 3.6 kg chassis, besides that, who will carry around an external subwoofer? Sorry for the late answer, Nige! If I’m right, you’re from Germany and your country is not supported yet in our price system. We’re working on it, so very soon we are going to cover most of the European countries. Just wondering do you have the guide for the tear down? Just bought this waitin for it to come 🙂 … Looks real good for the pretty low price … and in my region (sweden the ips is there). hey man, can you please tell me, what voltage does the RAM have? 1.35 OR 1.5 ? Thanks a lot! Also, could you tell me, how can i know, without opening it up? If i’m going to open it, then i want it to be just for that (adding another 8gbs of RAM).